December | 2014 | and a beauty to you! The other day a good friend said to me, “it’s the holidays and champagne is so festive. I would like to buy some, but I can’t afford it.” True champagne, meaning the kind that comes from the small AOC (appellation d’origine controlee) of Champagne, France is the most highly regulated wine on earth. Their goal is to make sure that no matter where on the planet that you buy a bottle, it will be good. The flip side is that it will never be cheap. I had a bottle of sparkling wine at the festive and very tasty friends and family night at Juju in Durham. The wine was a Cremant d’ Alsace. The wine was excellent, dry, full of flavor, yet elegant and perfect with our meal. Thanks to Charlie Deal for the recommendation. Cremant is one of the terms used to refer to sparkling wine not made in Champagne. Cremant is known for being a more affordable sparkling choice than champagne. It is the second most consumed sparkling wine by the French. They seem to have a good sense about such things. Another thing to know is the winemakers practice methode champenoise to emulate a champagne experience for the drinker. Depending on where the Cremant is made, will determine what grapes are used. Other than the benefit of great sparkling wine at a reasonable price, most Cremant is produced by small growers. That’s a beauty! Most people know about Cava from Spain and Prosecco from Italy. 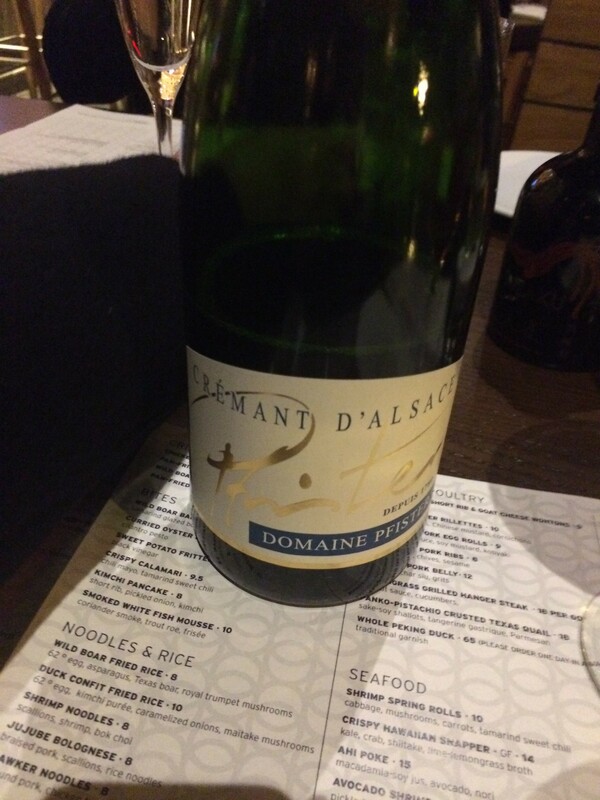 Today I wanted to share my Cremant experience! Here’s a shout out to Andre` Tamers and the pioneering work he has done with an underdog in the wine world. He has taken sherry, an under appreciated wine, and re-introduced real sherry to America. It’s working! It’s catching on. 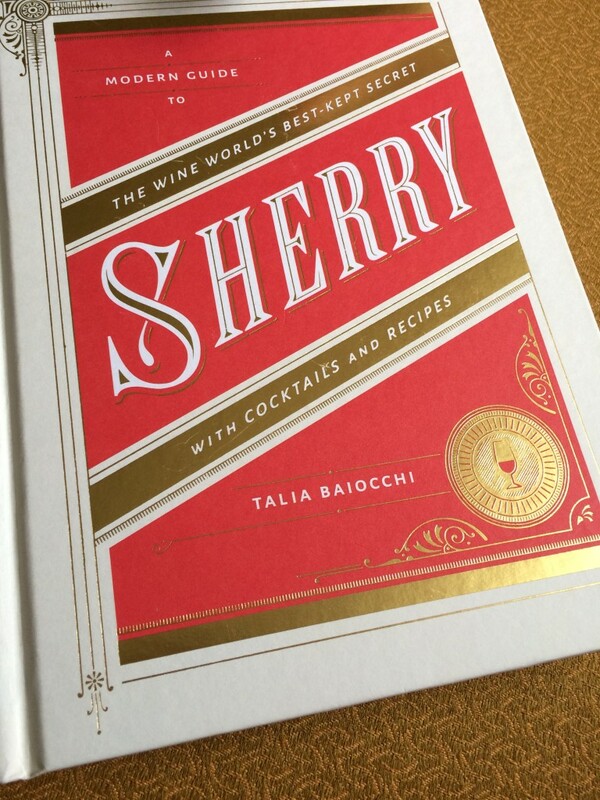 Ann gave me this book, A Modern Guide to Sherry, which is beautifully written by Talia Baiocchi for our anniversary. I fell in love with it at the fifth page. Keep reading, I’ll show you why. I am learning more about sherry and part of that is drinking it every now and then. I am not yet in the habit of wanting sherry when I want a drink to accompany my meal. I just had a copita (sherry glass) of El Maestro Sierra Amontillado (12 years old) at Mateo with my tuna melt. The sherry was amazingly different and satisfying. In my pursuit to learn more about sherry, I am lucky have Mateo Tapas as my neighbor, only 40 seconds of a walk away from my loft in Durham. Thanks to the collaboration between Matt Kelley and Michael Maller of Mateo and Andre` Tamers of De Maison Selections, I have one of the largest sherry offerings in the United States right here in my neighborhood. 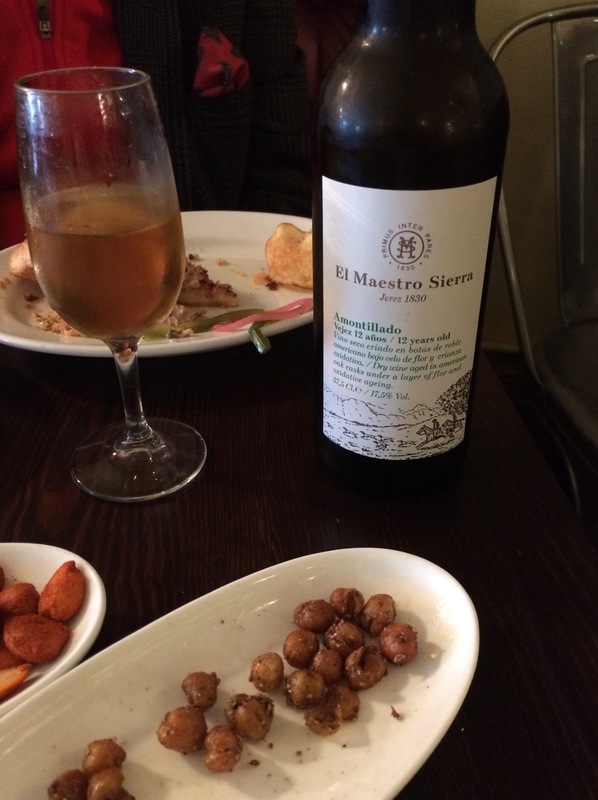 If you think you don’t like sherry, I am going to recommend you give it another try. Head to Mateo to check out their selection. Their staff is knowledgeable about their sherry list and will assist you to find something you will enjoy. 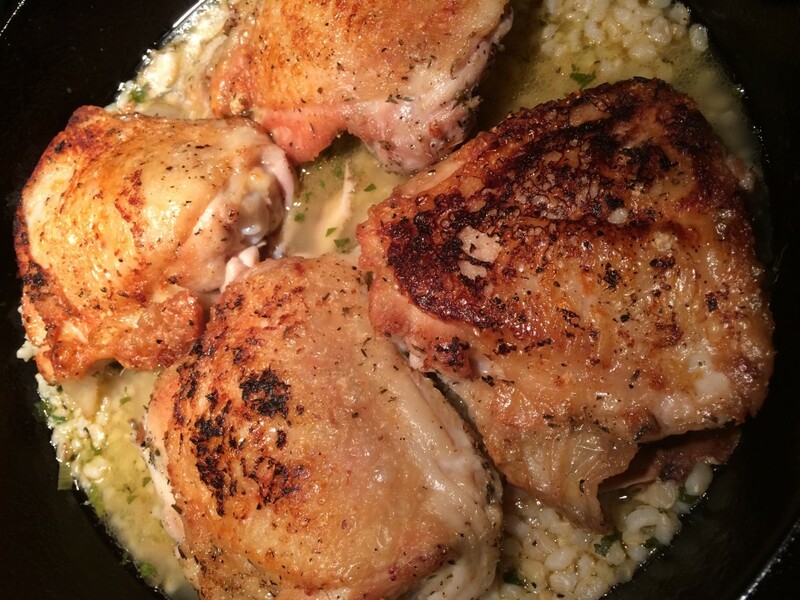 Last night’s lemon chicken was made with bone-in chicken thighs- seared in a cast iron pan and finished in the oven. Right before the chicken was finished roasting, Shelly poured a lemon sauce over the chicken and finished the thighs with a quick broil to keep the skin nice and crispy. I have said before that if we compare food to music, I like high notes better than low one’s- the treble better than base. Maybe that’s why I love lemon. Last year’s trip to the Amalfi coast and sampling all the regional lemon dishes from that part of the world was a peak experience. Since Shelly did the lion’s share of the cooking and the photography, I’m going to let her post that recipe on her site lovingfooandlife.com. We’ve decided to post about this dish on each of our blogs. Watch for the recipe later this week. I will let you know when it goes live.